When Rebecca touches a person, she feels all that is going on within them, she sees the areas where there are blockages, where there is damage. Using this insight, combined with her knowledge and intuition, she supports you in developing a healing practice and healthy lifestyle. Rebecca is a holistic nutritionist and graduate of the Institute of Holistic Nutrition in Toronto and the Healthy Breast Program, part of the National Association of Professional Cancer Coaches designation. She is constantly upgrading her knowledge and skills by attending classes, lectures and researching new orthomolecular/integrative healing practices. Her practice as a gifted, intuitive healer (or medical intuitive) started at an early age and continues to expand and develop. 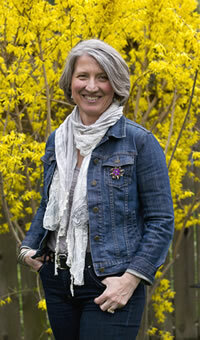 She studies energy work and trains with various practitioners all over North America. In her experience, optimal health is restored not only through focusing on healing the physical body, but through also restoring, energizing and balancing the emotional, mental and spiritual bodies. She uses hands-on healing therapy to relieve and release tension, pain, anxiety, emotional issues – and focuses on educating clients so that they can identify and remove the barriers they create to healing. There are many tools that Rebecca uses to support your healing journey – food and diet education, nutritional supplements, essential oils, homeopathics, breathing techniques, energy healing and guidance with meditation to relieve stress and to recognize and release blockages. Together we will uncover the best ways for your body to reach its potential.